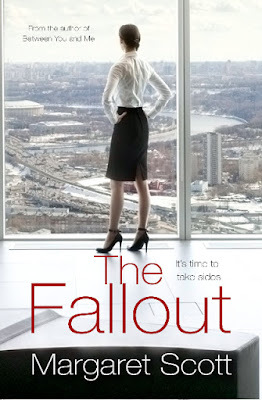 BleachHouseLibrary.ie: "The Fallout" by Margaret Scott. Exclusive cover reveal and Giveaway. "The Fallout" by Margaret Scott. Exclusive cover reveal and Giveaway. The great thing about living in Ireland is getting to know a lot of the amazing authors who reside here. 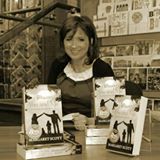 I have known Kildare based author, Margaret Scott, for a number of years now and we love nothing better than to browse the bookshelves of Independent book stores, chatting books over coffee and occasionally downing a glass of wine (or two). Her eagerly anticipated second novel is due for release in April and I am thrilled to be the first to share the cover and blurb. 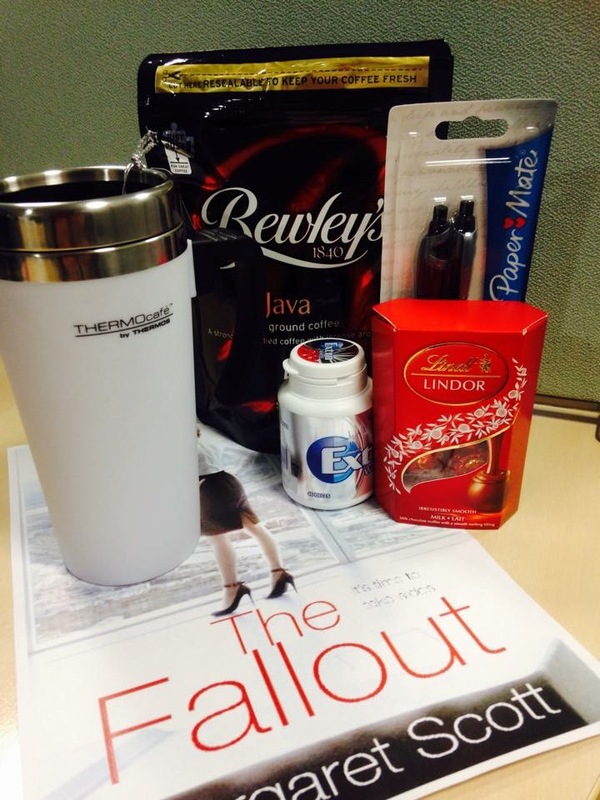 Margaret has also supplied a fantastic giveaway to celebrate and calls it the "Lunch is for Wimps" pack. To be in with a chance of winning the prize, just enter via rafflecopter link at the bottom of the page. Good Luck! International Financial Services Centre, Dublin, 2011. The dust has barely settled on the banking crisis when two letters arrive in the offices of German Commercial Bank DKB. Kate O’Brien joined the bank one month earlier after a short break to have her children. Kate doesn’t want stress or drama, she just wants to do her job and go home. But Kate might not be the only one with an agenda. Mary Lawlor has worked at DKB long enough to be able to see that it’s happening again, and this time she won’t stand for it. She is sick of being taken advantage of and it’s got to stop. Leona Blake has a job to do and is going to do it no matter what the cost. Only now, as her whole world starts to implode does she finally realise that the price just might have been too high. Olivia Sharpe is finally writing things down. Now is her chance to take control of her life again and get closure for both herself and her children. What happened to her was wrong and someone needs to pay. Don’t they? It’s time to take sides. Margaret Scott lives in Kildare with her husband Keith Darcy, two little girls Isabelle & Emily, one year old Michael and assortment of pets. 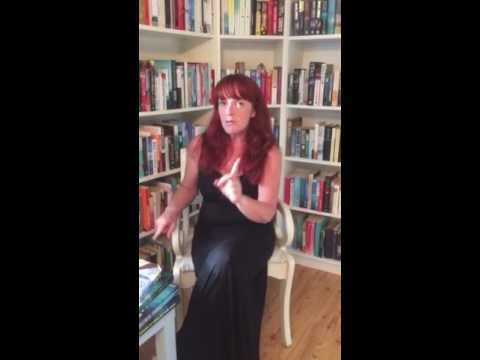 An accountant by day, her first book ‘Between You and Me’ was published by Poolbeg Press in 2013 and enjoyed several weeks in the ROI top ten Bestsellers List. 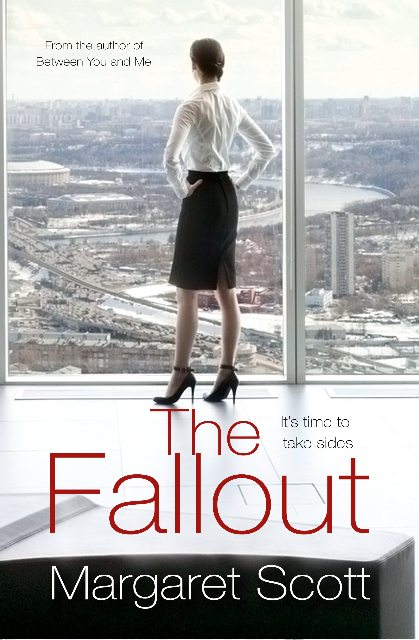 The Fallout is published by Poolbeg Books on 1st April 2016 and will be available in trade paperback and ebook format. This "Lunch Is For Wimps" prize pack is up for grabs, for one lucky reader. Open INT. Cool giveaway, please count me in!